NASA's next Mars rover, Curiosity, stretches its robotic arm upward during Sept. 3, 2010, tests on a tilt table in a clean room at NASA's Jet Propulsion Labotatory, Pasadena, Calif. Test operators in clean room garb monitor the motions simulating maneuvers that the rover might make while on a sloped surface on Mars. The arm has a reach of about 2.3 meters (7.5 feet) from the front of the rover body. 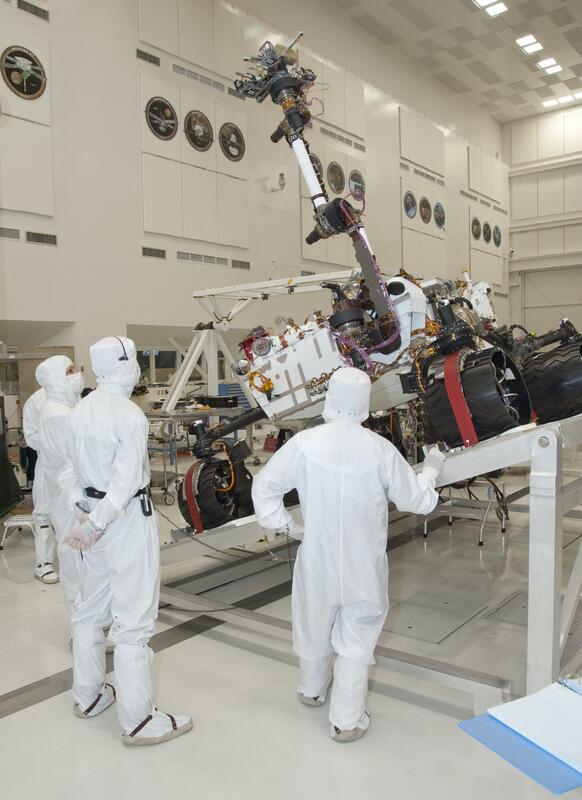 For a full Martian year -- about two Earth years -- after landing in August 2012, the Mars Science Labortory mission will rely on this robotic arm for many frequently repeated research activities. 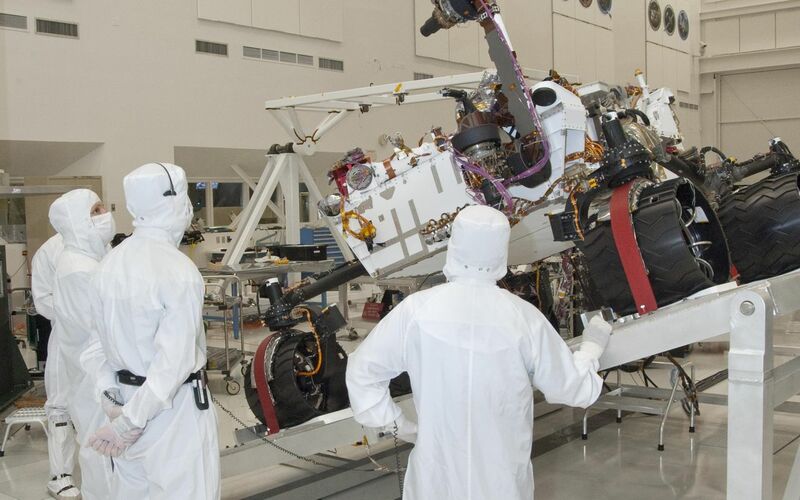 One crucial set of moves that has never been performed on Mars will be to pull pulverized samples from the interior of Martian rocks and place them into laboratory instruments inside the rover. The titanium arm has two joints at the shoulder, one at the elbow and two at the wrist. Each joint moves with a cold-tolerant actuator custom-built for the mission. When these tests were performed, the turret of tools at the end of the arm had not yet been installed. 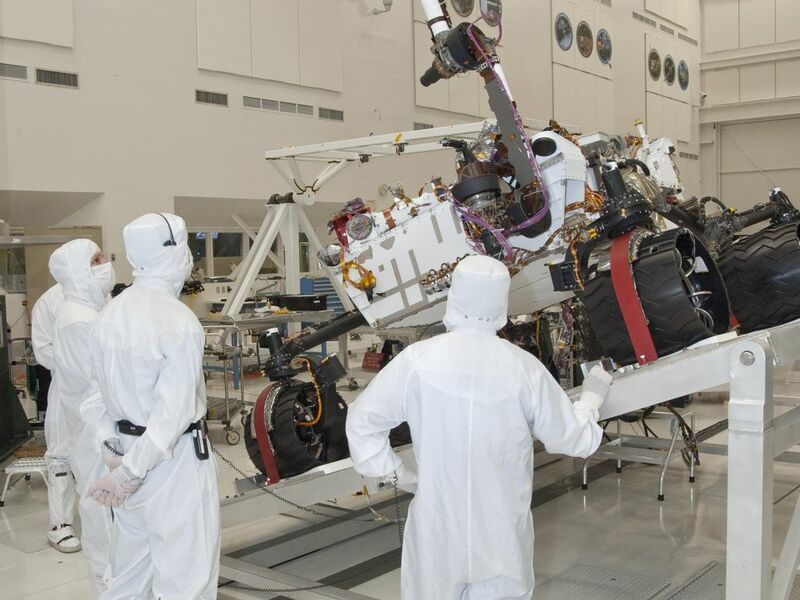 That toolkit, with a mass of about 33 kilograms (73 pounds), will include a percussive drill; a magnifying-lens camera; an element-identifying spectrometer; a rock brush; and mechanisms for scooping, sieving and portioning samples. 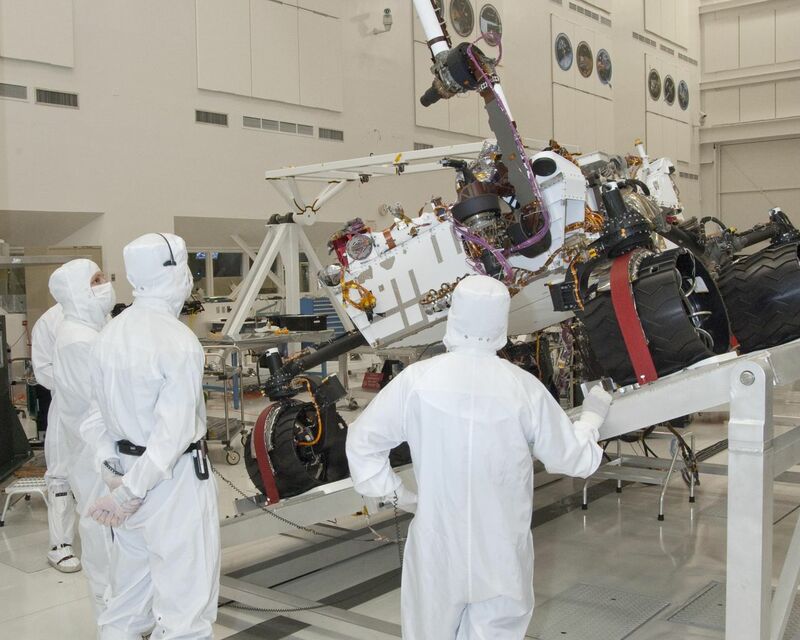 MDA Information Systems Inc.'s Space Division in Pasadena built and tested Curiosity's robotic arm, incorporating actuators from Aeroflex Corp., Plainview, N.Y. JPL, a division of the California Institute of Technology in Pasadena, manages the Mars Science Laboratory Project for the NASA Science Mission Directorate, Washington.